mirage wrote: I have a couple of questions on the "original enlightenment" theory. 1)Is there an authoritative text which explains hongaku in more or less accessible way? Right now I am quite lost: is this just common Tathagatagarbha doctrine, or something else? 2)How is hongaku not ethernalist? I mean, what's the difference from Hindu Brahman? See J. Stone's book on Original Enlightenment. She's critical of the idea. Some would in fact argue that hongaku shiso is, indeed, eternalist. I disagree, because Buddha-garbha is understood as emptiness, not as Sat Chit Ananda. Interpretations differ though. The "Critical Buddhists" of Japan take a very different approach. Related question: why are trees, rocks and such are describes as having Buddha-nature and even capable of achieving Buddhahood? They obviously do not possess mind-streams in the way sentient beings do, right? At a certain point, the distinctions among the categories "sentient beings" "Buddhas" and "everything else" fall apart. They are conventional designations. For myself, I appreciate the idea of "suchness" as presented in such texts as the Awakening of Faith, where all things are understood as suchness and Buddha-ness is understood as immanent. I'm not entirely sold on the Japanese interpretation of original enlightenment thought in its full-blown form--or perhaps I understand it incompletely. It would be nice to see a book from the modern Japanese Tendai teacher on original enlightenment and Tendai philosophy in general. I am somewhat accustomed to getting such information about views first-hand. In this respect, Tendai is a bit behind in the English-speaking world in terms of books and institutions. We've had many decades of Zen books in English, for instance, but Tendai is much less developed outside Japan. For now. I was able to snag from the Google Books site some parts of J Stone's book. http://books.google.com/books?id=jbO_Kc ... &q&f=false for anyone interested. Whether we fall into the Avici Hell or are born in the Land of Utmost Bliss depends solely on our [attitude of] mind in this lifetime. We ourselves are precisely true suchness. One who does not believe this will surely fall into hell. But one who believes it deeply without doubting will be born in [the Pure Land of] Utmost Bliss. Um, really? Isn't this basically the Pure Land doctrine? The overall lack of concern for karma and for process of cultivation I see in the quoted texts is puzzling to the extreme. That sounds like Kamakura-period hyperbole to me. Still can't really make heads and tails of the hongaku theory, but I have to say that the very idea, and the feeling it conveys, are slowly growing on me. I've been reading a book on Gnosticism lately, and I see how certain forms and aspects of Buddhism can be interpreted (especially by the Western mind) as something similar, i.e. as something essentially world-negating. Gnosticism is a really bleak and psychologically destructive worldview. By contrast, original enlightenment and related ideas look more world-affirming than anything I've ever seen in Buddhism philosophy. They say that the phenomenal world is fundamentally good, that we don't need to abandon it, just sort out our own faults and delusions and see it how it really is. That's the message I'm getting so far. Of course, I wonder if such theory makes Buddhism vulnerable to the "problem of evil" as known in monotheism. I think there are some points of contact between hongaku shiso and Dzogchen. In both, the distinctions among all categories (subjects and objects, living and dead things, and so on) fall apart. Different diction is used and there are significant differences at the level of practice, but in terms of the general feel, they are clearly kin. I remembered this discussion on another Buddhist board in which a reasonable case is made that Dzogchen is an Ekayana teaching. Of interest? Thank you very much for the support Seishin san! I'm glad you found my explanation helpful! Hopefully I will be updating that page soon. Remember the Sutra of Innumerable Meanings, which many take as the preface to the Lotus Sutra, states there is no difference between your mind and the exterior world. About Hongaku, it's vital to understand as it underpins all modern Japanese Buddhism, except for Pure Land and some Nichiren sects. If I'm not mistaken modern Tendai adheres to hongaku thought too. Well, the difference for me is that phenomena that we identify as humans, animals etc are distinct from the rest (like grass or stones) because they are supposedly associated with individual mind-streams different from our own. And inanimate objects do not represent separate mind-streams but exist within our own as products of karma. At least this was my own understanding of general Mahayana position so far. Thus I agree that there are no objects apart from mind, but I do not see how it means that there is no difference between sentient and non-sentient, unless no difference means something like "no separation, no non-sentient things existing independently out there". rory wrote: About Hongaku, it's vital to understand as it underpins all modern Japanese Buddhism, except for Pure Land and some Nichiren sects. If I'm not mistaken modern Tendai adheres to hongaku thought too. http://jsri.jp/English/Jodoshu/disciples/disciples.html wrote: The disciples [of Honen] divided around the two medieval Tendai streams which either embraced or rejected the concept of innate enlightenment (hongaku). Those who adopted the hongaku view interpreted the concept freely as was common on Mt. Hiei at the time, meaning that one did not have to follow any practices or discipline since one was inherently enlightened. On the other hand, those who rejected hongaku stressed a greater reliance on the sutras and their meaning. Of the main disciples, four adopted the hongaku concept while two rejected it. The four were: 1) Shoku who developed the Seizan doctrine [and Ippen who came from the Seizan school and created the Ji sect], 2) Kosai who developed the Ichinen doctrine, 3) Shinran who formed the Jodo Shin sect (True Pure Land sect), and 4) Ryukan who developed the Chorakuji doctrine. The two were: 1) Bencho who developed the Chinzei doctrine and 2) Chosai who developed the Shogyohongan doctrine. In present day Japan, therefore, it is important to see that Japanese Pure Land Buddhism is divided along the lines of this concept of hongaku with the Jodo Shin sect embracing it and mainstream Jodo Shu rejecting it. Interesting point PorkChop and I appreciate the quotes and links. I'd say be careful of sectarian bias, Jodo Shu has an opinion about Shinshu, but I don't think Shinshu would agree that they believe in Inherent Enlightenment. Do ask a Shinshu priest or scholar. Shinshu is predicated on the human's absolute ignorance and inability to become a Buddha.. Tthe page from Stone's book that you linked to is scholar Yoshiro Tamura's opinion of Shinran's thought. 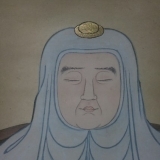 Go to page 88 and you'll see Jodo Shinshu scholar Chikai Nakanishi's understanding that achieving birth in this world as the pure land "does not derive from a "return" to hongaku nonduality, but from his transformative religious experience of salvation through the absolute compassion of Amida's vow." The Tiantai school, used Zhiyi's philosophy of ichinen sanzen to point out the inter and copenetration of the Buddha with the world, sentient and nonsentient. rory wrote: Interesting point PorkChop and I appreciate the quotes and links. Yeah, at the bottom of page 88, it points out that there is no rejection of hongaku thought, only a debate over the primary influence on Shinran's doctrine. Very true, and fascinating links, I really enjoyed reading them, thanks. My knowledge of Shinshu is pretty slim, I never really understood Shinshu and still have problems in comprehending the link at Shindharmanet..lol. Though Hisao Inagaki was helpful. Definitely Shinran was influenced by hongaku thought as are about all Japanese sects. The ones that reject it are a minority; so now we've whittled it down to Jodo, Nichiren Shu and Kempon Hokke, maybe a few more but that's pretty small. One thing I'm curious about is seeing where Tendai stands in regards to the T'ien T'ai that I study in regards to "hongaku"/Primordial Enlightenment. I have a feeling that the Kamakura period in Japan might have brought about a rather unique interpretation of the doctrine that may not be reflected the same way elsewhere. I'm still real new to this stuff so I'm still learning and not really even up to speed as far as my own school's take, let alone others'. The few things I've heard on the topic seem to have a slightly different nuance than some of the things I've read from the Japanese side of things, but I never know what's legit interpretation and what's generalization. Well we can ask Ven. Indrajala to come and help us out, he's studied in Japan and is fluent in Chinese so maybe he can discuss Tiantai and if original enlightenment was the same in China and just how pervasive it is in Japan today.. Also Ven. Huifeng in regards to China. The idea of "original awakening" is formulated first in the Awakening of Faith in the Mahāyāna 大乘起信論. If you want to know about it, read this and good academic analysis of the text. There's also the Sūtra of Perfect Enlightenment 圓覺經. Fazang's famous commentary (available in English) is worth reading for his analysis, also because his commentary was rather influential even in Japan (I actually have a woodblock print of it from the Edo period c.1700), though it is "Huayan" (however Fazang himself probably didn't think of himself as such). With respect to Japanese Tiantai, they amalgamate initial enlightenment 始覺 + original enlightenment 本覺 with "two gates of the root and the derivative" 本迹二門 (the division of the Lotus Sutra: the first fourteen chapters and the following fourteen chapters - the former being the earlier teachings and events leading up to enlightenment and the rest concerning buddhahood as eternal plus the bodhisattva teachings). To really understand this in any depth requires reading Classical Chinese. You basically need to read Zhiyi's texts, or have access to summaries (not available in English at the moment) and then Saicho's works (again not available in English). rory wrote: ... and just how pervasive it is in Japan today.. It is a widely discussed idea, even today. The Awakening of Faith in the Mahāyāna 大乘起信論 is actually very prominent in academic circles. There are always papers being written on it, especially the debate concerning its origins. My professor back in Japan has suggested it is a hybrid comprised of a translation from Sanskrit plus native Chinese ideas inserted into the text. The internal features of the Chinese itself suggest this as a possibility. PorkChop wrote: The few things I've heard on the topic seem to have a slightly different nuance than some of the things I've read from the Japanese side of things, but I never know what's legit interpretation and what's generalization. This version also has a work by Saicho. Gyonen's work provides an educated perspective on the main schools of Buddhism as they existed in Japan in the Kamakura-period. He details their respective histories, doctrines, founders and key ideas. His summary will give you a very solid outline of Tendai and the other major schools. If you have these in mind and then read Chinese texts, then you'll maybe see where the Japanese diverged from their counterparts on the continent. If you read Japanese you can also get the little Kodansha version for cheap.